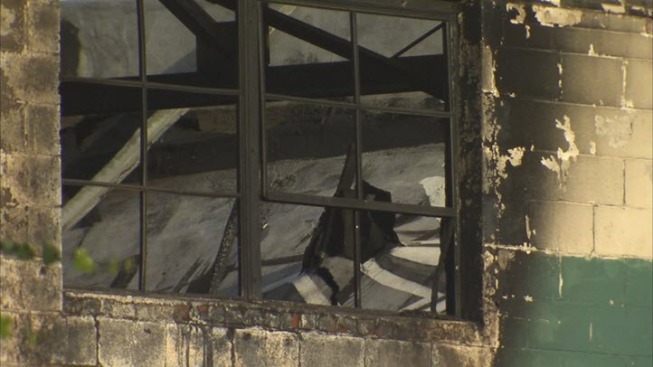 The so-called Ghost Ship, where dozens of people died after the warehouse in Oakland caught fire, was not permitted as a residential building, city officials said. Derick Almena, the man who operated the Ghost Ship, said in an interview with NBC Bay Area about 20 people from a collective of young artists lived in the warehouse. The former owner did not want to be identified because it took him nearly a decade of legal fighting to get out from the problems created when an artist colony moved into his warehouse. The move was done without him giving his approval or even knowing about it. While investigators continue to work to determine what caused the fire that killed at least 36 people, family of the victims lost were escorted into the area now being looked at as a crime scene. Elyce Kirchner reports. "When we finally got into the building we found a commercial kitchen, we found hazardous materials," the former owner said. 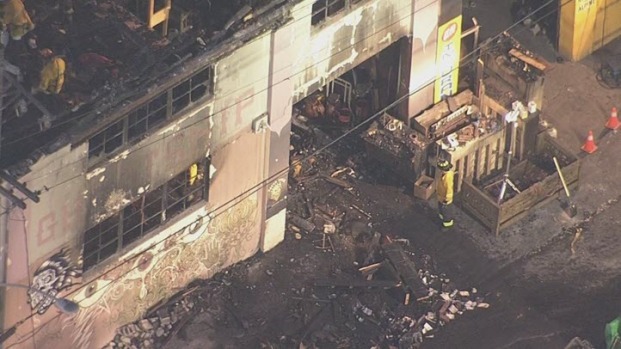 The longtime Bay Area resident watched the horrific images of the Ghost Ship warehouse going up in flames and said he got sick to his stomach because it could have easily been his building. "As the landlord we are in a catch-22. We can't even get into our own building much less see what's going on," the former owner said. The former owner said the current housing shortage will prevent any real reform from actually taking place. "I'm sure there are warehouses throughout the area. The housing shortage drives it. We see these people pay $500 a month for rent. We even found one building where AirBnb was listing room within the warehouses for rent," he said. The former owner said he spent 10 years trying to get the people living in his building out. He said the warehouse was leased for commercial use only, but it was turned into an artist's colony just like the Ghost Ship. The former owner said both Oakland and San Francisco city leaders know this problem exists, but chose to look the other way. And in the Ghost Ship warehouse, it cost dozens of people their lives. "In this case clearly the city missed an opportunity to go in and fix this problem because this has been known for in some cases a decade," he said. As hard as it is to believe, the former owner said he could not evict the tenants because the middle man who leased the building was considered the landlord. The former warehouse owner could not even go into his own building. That is why he believes Oakland building code inspectors couldn't get into the Ghost Ship building as well. The people who had taken up residence there simply would not agree to let them in for an inspection.